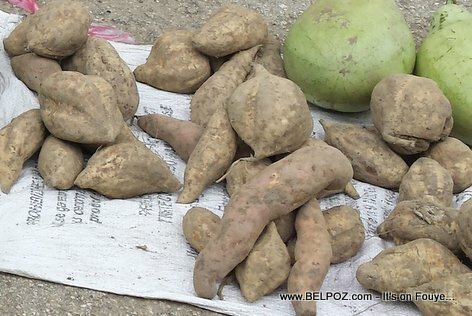 In Haiti, you will not find all the vegetables you want to eat all the time but there is always some kinds of fruits and vegetables in season at the street markets (nan mache). 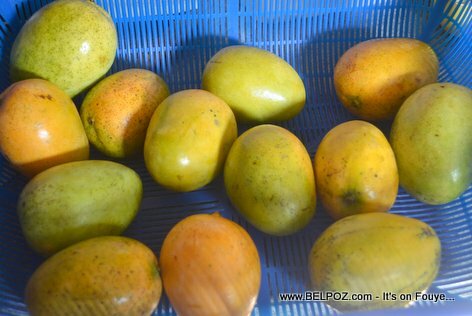 PHOTO: Fresh mangoes from Haiti - It's Mango Season! I notice many Haitian cannot eat lunch without some kind of meat in it. It's not the meat that fills you up while the meat is the most expensive part of your meal. I hear many people complaining how expensive it is to eat everyday in Haiti. One thing I can say about that is: It depends what you eat. « Haitians Food : Poulet Creole is becoming more of a delicacy these days, it is so expensive! Thanks for a very nice article about this subject. I LOVE to eat Organic Fruits and Vegetables. I am a Raw Vegan and the diet is soo good for my health.